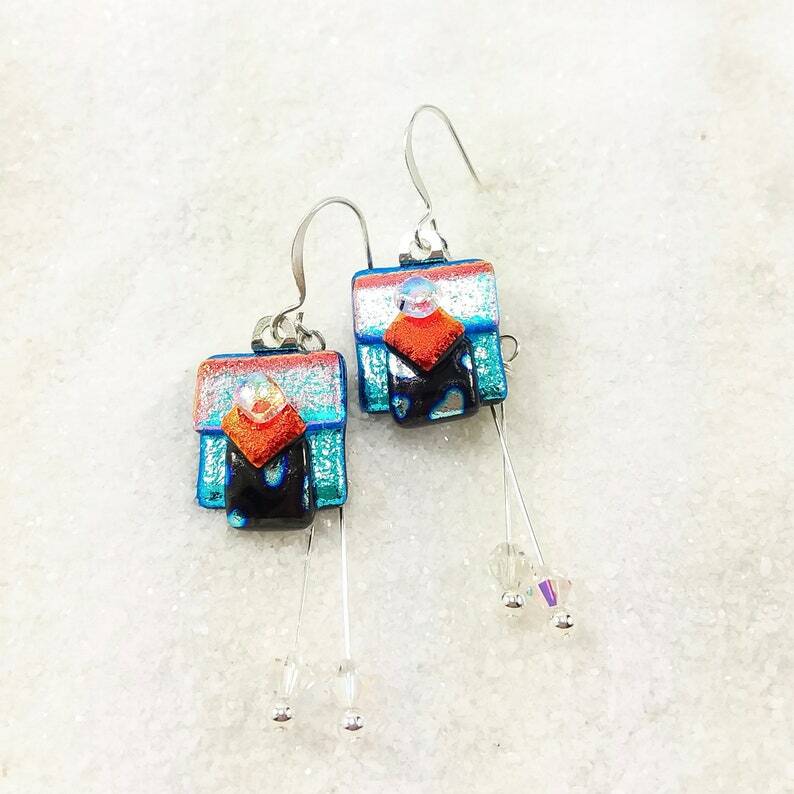 What fun and unique dichroic glass earrings! This is the style that I first started out with, "way back when". Sweet aqua blue dichroic glass is the main color. There are additional colors of sparkly ruby red, black with silver, shimmery aqua and even MORE ruby red! Dangling underneath are genuine Swarovski crystals. Set with silver plated bails & ear wires. The glass measures 1/2"w X 1/2"